I am trying to get some of my work done (that I should have accomplished last week) so I can grab Lisa and take her on a short road trip. Today is my little sister’s birthday and I promised to get her out of Dodge for a night. We will Priceline something, have a nice evening and return tomorrow early afternoon. In other news, my desk arrived yesterday! Yes, that means I FINALLY have a professional workspace! I decided to turn the loft into a true office which means I moved the television downstairs. It feels great having a focussed area to work. Even my bedroom looks awesome because I also got a new, gorgeous bed! For the longest of time, I assumed my future held something totally different in store for me. 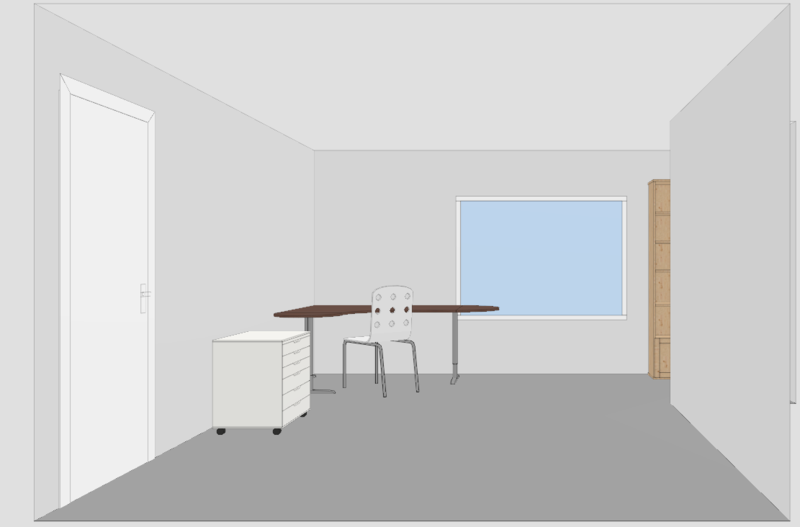 I thought I was going to get married and either move into a new place OR merge his stuff into mine so it just didn’t make sense upgrading rooms and furniture. Knowing I am still on my own singular path was the push I needed to start living a little more comfortably. My next investment will be into hardwood floors for the parlor and dining room. This entry was posted in Furniture on June 6, 2011 by Donna. Yesterday Lisa and I drove all over creation looking for a simple desk for me. As I am sure I have said, I am running my company from a desk purchased from IKEA back in 1985. 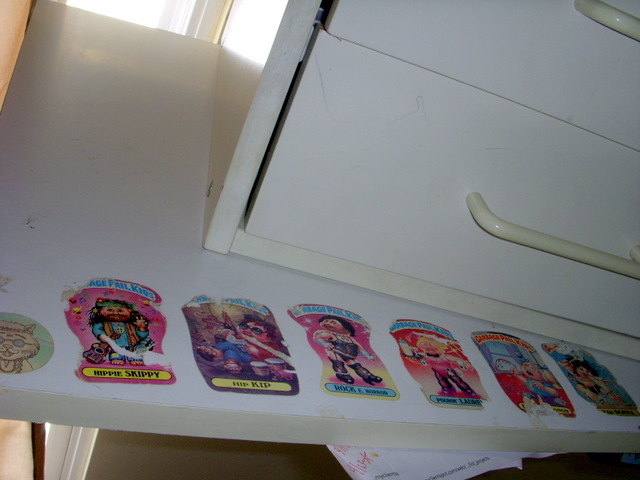 Attached to the desk are Garbage Pail Kid and kitty cats stickers. It’s time for a desk that doesn’t shame me. Two hours of decision-making aided by beer later and the promise of 20% off the floor model, I gave him my credit card. Oh, and I also bought a chair and a…. BED! Yeah, I know… insanity. But the bed perfectly matches my bedroom furniture and it was REALLY REALLY cheap. Plus the chair completes the office. Everything will be delivered next week. I can hardly wait! Bye Bye Garbage Pail Kids! 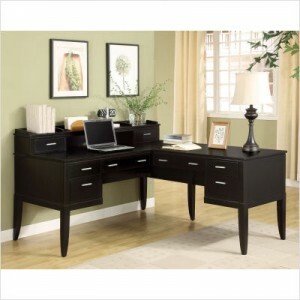 This entry was posted in Furniture on May 29, 2011 by Donna. My neck and back are still sore. I have a friend who is a massage therapist, I may have to hire her. The last two nights were full of freaky weird dreams. I don’t know what’s going on in my brain. Maybe it’s the muscle aches. I am making some good strides in getting life and work organized. One of my goals is to buy a new desk but I am really torn as to what kind of desk I should purchase. There’s a part of me that just wants a nice Ikea desk… y’know, to replace the nice Ikea desk I’ve been using since 1985. There’s another part of me that thinks I will regret going that route and instead I should buy a real desk. The problem is I can’t seem to find any real desks out there… at least any that I like. What to do, what to do! Is it just me or does this not seem like any improvement over what I already have? 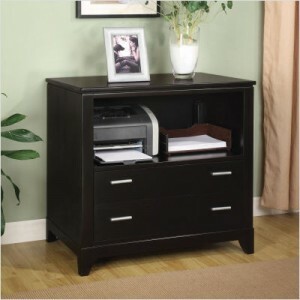 This entry was posted in Furniture on May 24, 2011 by Donna.